What the left hand giveth, the right hand taketh away...? Roots Ireland has implemented a new payment system on its site at www.rootsireland.ie and apparently reduced the charge for its searches. However, almost as if to compensate, it has also reduced some of the functionality of the site, including at least one major change that will really affect how we control our searches. 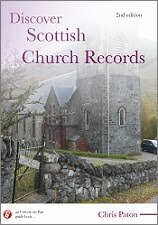 In the past the site charged a €5 fee per record transcription, though it did introduce a welcome discount scheme if you were seeking to purchase multiple baptismal records for a couple's children. A single baptism record could cost €5, but 15 baptisms could cost just €30, effectively just €2 each. The site also operated two search systems - Standard Search and Advanced Search for most counties. Standard Search was, to be completely frank, next to useless - it had very few filters (e.g. mother's maiden name) to help control a search. Advanced Search, by contrast, offered everything you could hope for in a database - not only filters to allow for mother's maiden name, spouse's name etc, but also the ability to narrow down by parish and religious denomination. Most importantly, it allowed you to do a parent search at the parish level, by inputting the names of two parents, and the parish and denomination, and seeing who popped up as born to that couple. For reasons best known to themselves however, counties Sligo and Limerick never signed up to the Advanced Search facility, and so those two counties continued to be difficult to use in any meaningful way. If I do a search for one record, it will cost 10 cents to see the index result(s) from the search, or 1 credit, and to view the record then costs 25 credits. So if I pay €5 for 35 credits, if I have got this right I will end up using 26 credits - 1 to view the index, and 25 to see the record. I then have 9 credits now sitting there doing nothing. Obviously they can be carried over on my account if I have more searches to do, but redundant if I have not, in which case, there's no benefit or loss compared to the old set-up. It's still a fiver. For the other options, the maths gets bewildering. To see 2 images - I need to pay for 2 record searches (if different events), so 2 credits to see the search results, and 50 credits to see the 2 images = 52 credits. If approaching the site for the first time, to do this I have to pay for 73 credits at €10. So I now have 21 credits left over, sitting there looking at me if I have no more searches to do, and again, the new system provides no benefit or loss. It's still a tenner, for two unrelated events - but there's a caveat, which I'll come to shortly. If I want to see 3 images for 3 unrelated events, that's a possible 3 credits for different search results to see the indexes, and then 75 credits to see the 3 images = 78 credits. I can do this by buying €15 worth of credits - €5 (35 credits) and €10 (73 credits) = 108 credits, enough for the search, with 30 credits left over allowing me to do one more search. So a possible benefit here. On the old system, if I wanted to do a search for children born to a couple, there was a range of discounts if more than one child was returned in a search. One child's record cost €5, but 2 would cost just €8. Now it costs €10 for 2 records, as each costs 25 credits to view, so I'll need 51 credits (including index page at 1 credit), and only €10 allows me enough credits to do so, if approaching the site for the first time. So I'm actually paying €2 more with the new set-up, if this is all I have to do. Three to four records in the old discount scheme used to cost €12, five to ten was €20, and eleven to fifteen was just €30. If I do a child search now, and find 15 children to a couple, it will cost 2 credits for the index returns list of kids to appear (2 pages, 10 entries on the 1st, 5 on the second), and then 15 x 25 credits to see the actual records - so 375 credits +2 credits for the searches = 377 credits. Which means if I come to the site for the first time, the cheapest way I can see to do this is to buy €42 worth of credits - €10 for 73 credits and €32 for 320 credits, giving me a total of 393 credits (so 16 left over). If this is the only time I want to use the site, this will now cost €42, whereas it used to be just €30 to see that number of records for 15 siblings. Obviously if I have more to do it could be cheaper to pay for €60 worth of credits, and make savings in the long run. But only if I have more to do, and I may not! In the old set up, on Advanced Search I could control a parent search at parish or registration district level. This is no longer possible. If you input the parents' names now to see what children they had, and select a parish, it now asks you to also put in a child's name! You can do a parent search without the child's name - but only on a county wide basis. So if you are looking for the children of a William and Mary Smith in County Antrim, you'd better think about re-mortgaging your house to pay for it. So the new search tool is more advanced than the old Standard search - but more restrictive than the old Advanced search. It appears to be a regressed half way measure. 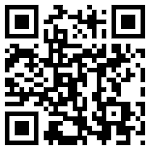 From 22nd March 2012: The rootsireland.ie Online Research System is now using a credit system. All user balances have been upgraded to the new credit system automatically. There has been a reduction in the cost of a single record from €5.00 to as low as €2.50, depending on the amount of credits purchased. However, all users will be charged 1 credit for a page of 10 index search results at 00.10 cent (EURO) per page. Every user will be given 10 free searches to familiarize themselves with the system. If I haven't got this wrong, though, this could be cheaper for long term users willing to bulk buy credits but potentially much more expensive for casual look ups if you don't use the site often. The site also now appears to offer less control to do the searches I wish to perform. If so, this is a backward step for what promised to be such a great improvement. Still, Sligo and Limerick seem to be on board with the new set up, so the site is at last consistent for every county. I just saw the change - I had heard about it - I had written to RootsIreland about their fees, and they said they were changing, but it wasn't publicized. Usually I get an email when they put new records on the site, but there was no email about the change. I think it will be more expensive. And it was pretty expensive as it was. I counted up what I've spent - ugh - I could have had an annual worldwide Ancestry subscription. I am at the point where I have fewer, and more complicated searches, so I think it will be a while before I try RootsIreland again. These changes to websites seem endemic and would appear to be driven by software developers who are not genealogists otherwise they would understand regressive searches etc. or more pertinently they wouldn't have made them in the first place. I feel the new LDS Family Search site is also regressive in the way it displays it's search results, again I cannot see how someone with a grasp of genalogical research would have made those changes. British GENES - one thousandth post! Titanic - a crisp too far? !